and any search for golf ranges or golf lessons should start here!! . Tee To Green Coaching aim to help improve your golf but at the same time make learning golf a fun experience. – Trent Park is a fantastic facility to improve your game, with a two-tier flood-lit range, short game area, and course at our disposal, Tee To Green Coaching will be able to improve your game and help you reach your targets quickly. Tee To Green Coaching offer instruction to fit all budgets, as well as a unique assessment process ‘Player MOT’ which at £20 will help develop your own unique plan of improvement based around your own personal requirements. From individual lessons to beginner group sessions, junior groups and holiday camps, we are confident we can help. Booking couldn’t be easier, click on the diary of your preferred coach, register to the system, select your time and pay directly, you’ll be up and running in no time. 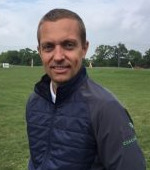 Craig is an accomplished golf coach with a unique education and experience as a coach that separates him from the crowd. Craig is well versed in various swing techniques and the biomechanics required to power them. By understanding the knock-on effects of different movements – or lack of movement, this enables Craig to diagnose and tackle the root causes of any swing flaws or issues, rather than papering over the cracks. Book a session with Craig, to get an idea of how this depth of understanding of the swing – and the movements required to achieve it, can really benefit your game. Through the Tee To Green Coaching MOT Craig can tailor a plan specifically to your needs to help you achieve your golfing goals. To book an MOT or lesson please don't hesitate in contacting Craig. 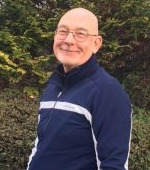 David has been Coaching players of all levels for over 40 years and is still by his own admission learning. A keen student of the game, he has met many of the game’s influential coaches and likes to continually learn and better himself as a coach. David has a certificate in sports psychology from the University of Newcastle and is fascinated by the plasticity of the brain. He has a good understanding of physio profiling and over the years has attended many seminars on the physics and mechanics involved in hitting a golf ball. His goal is to help people get the most out of what they have because there is no right way to swing the club only a number of recipes one of which will best fit you. Do you dream of playing the type of golf that enables you to say Yes to work golf events and being involved in networking out on the course and not just the boardroom? Are you wanting to follow a simple structured formula for success in improving your golf? Following a proven structured program is the only way to get from where you are now to where you would like to get to. Oliver’s simple straight line to success will enable you to stay focussed and committed to playing the golf of your dreams in the quickest time possible. Sick of saying no when invited to play golf in fear of failure? Frustrated in handing over money every weekend when losing to you mates? If any of this sounds like you it needn’t be this way! Book in for an MOT analysis now to find out more about how this proven program can help you smash your golfing goals! 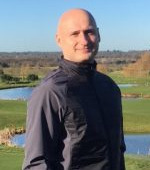 Russell is a highly motivated and competitive PGA Professional who has been involved in golf for almost 25 years both as a successful amateur and professional and is always looking to grow the great game of golf and make it accessible and attractive to all. 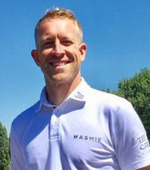 Russell has a passion for coaching golfers of all ages, abilities and backgrounds and maintains a very healthy pupil base that includes several county players and fellow professionals. He is able to ensure that junior golfers learn in a safe but fun environment. As well as being a popular instructor, lessons are well organised, and his enthusiastic manner is much appreciated by parents and pupils alike. Russell’s one-to-one coaching session’s cover all aspects of the game. With extensive experience of using video analysis packages and other technology-driven coaching tools Russell is able to get to the route cause of any issues quickly. So, by booking a 60 Minute Player MOT Russell will be able to assess and evaluate your current game and build a programme of improvement to achieve all your golfing goals.